Nine of the schools on the list were from Ohio. 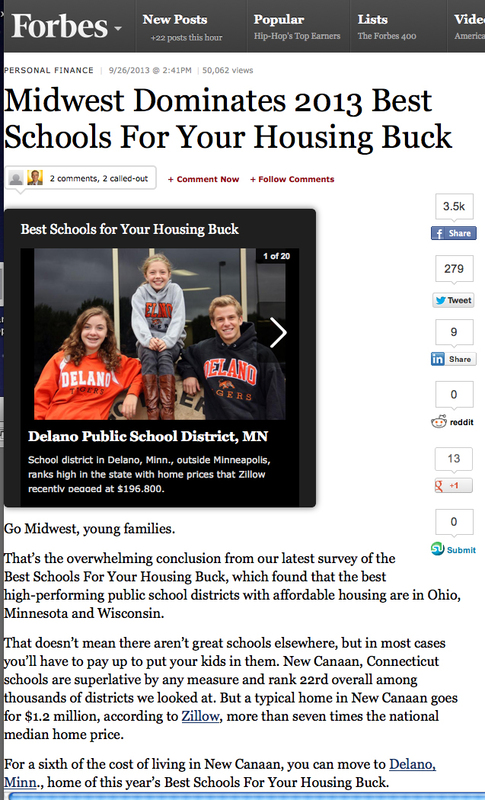 Forbes used school district performance and median home price to come up with their list. See the Forbes report here. This entry was posted in News, Statistics and tagged Forbes Magazine by susanaknabe. Bookmark the permalink.